As rosé continues to trend upwards at an almost unstoppable pace (in no way am I complaining), the long-standing Mediterranean trend of chilled red wine in the summer months has yet to hit stateside. A few rebel winemakers and sommeliers across the country are setting out to change all that. Red wine isn’t just for cold weather anymore. Andrew Jones, winemaker of well-known brands such as Wonderwall, Field Recordings & Fabelist has introduced a new wine to the market, something with a twist. Freddo (Italian for Cold) is a 100% Sangiovese hailing from Paso Robles that according to the label, is meant to be exclusively drunk chilled. You might even say “as cold as the Rockies,” since the Freddo labeling turns from white to blue when perfectly chilled. Needless to say, we already have this wine ready in our Brookside cold box! Pick something lighter bodied, lower in tannin…Tannin can become quiet astringent when a wine is too cold, so best bet is to stay away from big California reds, though a Pinot Noir can be quite nice! European wines, such as Beaujolais, Loire Valley Cabernet Franc & Etna Rosso have higher acidity, making your chilled red even more refreshing on a hot summer night or next to the pool. A wine sleeve can do wonders to keep your bottle cool, without having to keep it in ice, potentially over-chilling your wine. For perfectly chilled results, place a room-temperature bottle of red in the fridge for 30 minutes before enjoying. Have fun! Experiment! Try something new! A cold glass of wine can always get warmer, so don’t stress if the wine you picked doesn’t appeal to you at a certain temperature. 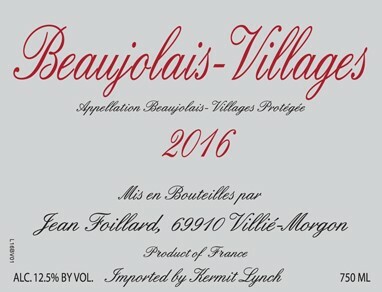 If you’re looking for recommendations for your next chilled red, don’t hesitate to ask anyone on Mike’s staff for a recommendation, though I always recommend a good Beaujolais to get started! Stay cool out there! Cheers!